The tune of this Dylan original is a variant of the traditional/Monroe Brothers song "Where Is My Sailor Boy?" (recorded by DOC WATSON as "What Does The Deep Sea Say?"). 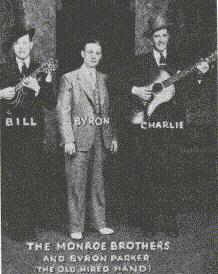 DOWNLOAD AND LISTEN to Bill Monroe's and Doc Watson's version (Real Audio, 127 KB). DOWNLOAD AND LISTEN to an excerpt (Real Audio, 72 KB). I'm troubled and I don't know why. Oh, what did the mornin' say? What did the mornin' say? Saying, "Another old weary day." Saying, "Things ain't going so well." An' it never said nothin' at all. What did the movie screen lecture? An' I left in the middle of the picture.